Julie Bwire is a mother of three and a farmer at Msufini village in Mvomero District, Morogoro Region, eastern Tanzania. She dropped out of school in the late 1980s and until 2015 was engaged in petty trading as well as farming; mostly maize and vegetables. Julie holding the nutritional soy flour. 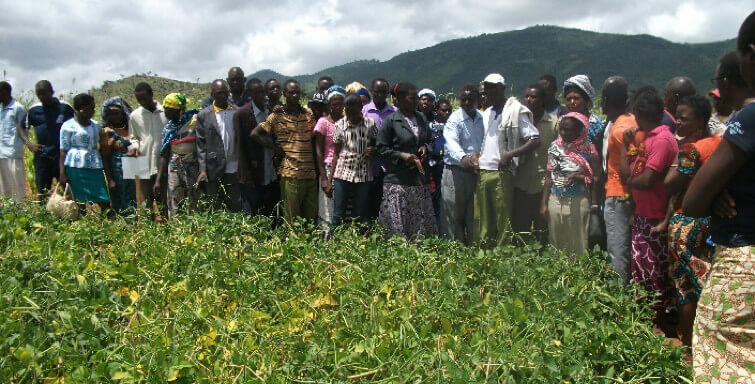 In January 2015, on the advice of Margret Mongi, the extension officer of Msufini village, Julie and 24 other farmers who were members of the farmers’ group “Umoja” (partnership), joined the N2Africa project where they learned about improved methods of growing soybean and common beans alone or intercropped with maize, and the use of fertilizers on legumes and inoculating soybean with rhizobia inoculants. “Soybean was a new crop to most of us. Our extension officers and the IITA scientist encouraged us to grow it and demonstrated good agriculture practices through the well-established demonstration sites. We were inspired to grow soybean after we observed its high yield and learned about its other benefits such as high nutrition and soil fertility improvement,” says Julie. A new opportunity presented itself in June 2015 when N2Africa recruited Julie to participate in a training on soybean processing and utilization. The training focused on household-level processing of soybean into various products including milk, coffee, flour, and various recipes using soy flour. After training, Julie contacted N2Africa and the small-scale industrial development office (SIDO) for more support to venture into soybean processing. 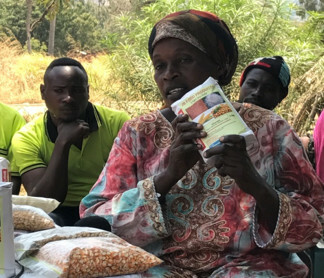 N2Africa provided her with a solar drier and SIDO with packaging materials, and in January 2016, Julie started selling fortified soybean flour with pro-vitamin A maize, finger millet, rice, and orange-fleshed sweet potato. Her products are currently selling at US$1.36 per kg making a net profit of $272 per month. Through the money earned, Julie has ventured into rearing local chickens and has earned a total of $817.2. She also managed to renovate and extend her house. “With this kind of income, I will never stop growing soybean. My family is happy and healthy and we now enjoy a better standard of life,” says Julie. But, that was just the beginning of the transformation. In June 2016 Julie became an ambassador of soybean. She opened a kiosk to sell milk and her products and on the side, she set aside a room with educative materials targeting pregnant women and mothers on the importance of soybean-based food in their diet and on how to balance baby meals for healthy living. Julie now has advanced to become a community health attendant going back to her earlier dream of becoming a health officer. She now teams up with Ms Mwanahawa AthumaI, a trained community health officer, to train pregnant women and mothers in Msufini and neighboring villages on the health benefits of soybean. ‘’Soybean flour has greatly reduced malnutrition for many children in my village and nearby villages. It improves the mental capacity of users and increases the weight of undernourished children,’’ Julie comments on the impact of her work. In 2017 Julie was awarded $682 by Morogoro’s Regional Commissioner as the best farmer and food processor at the village level. This was during the National Agriculture Exhibition show, Nane-nane. 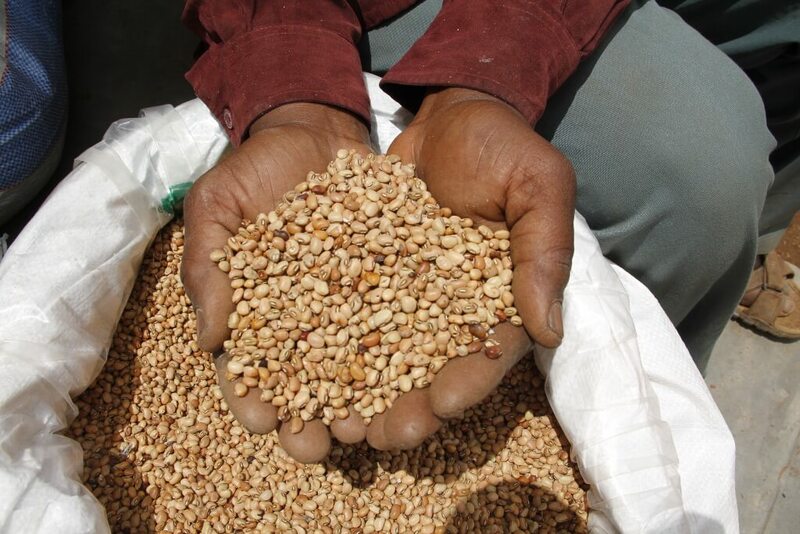 Before the N2Africa project, farmers in Kongwa District had abandoned cowpea production due to poor crop management, unavailability of improved varieties, high pest and disease infestation, the effects of climate change, and poor access to inputs that in turn led to poor harvests. They had instead moved to cultivating high-value horticultural crops like tomato, cabbage, and onion, which gave huge harvests and a good market price. The N2Africa project started implementing its activities in Kongwa District in 2016. In collaboration with the Homboro Agricultural Research Institute and the Kongwa District Agriculture, Irrigation and Cooperative Officer (DAICO), the project trained farmers and extension officers on new technologies for cowpea and groundnut production. 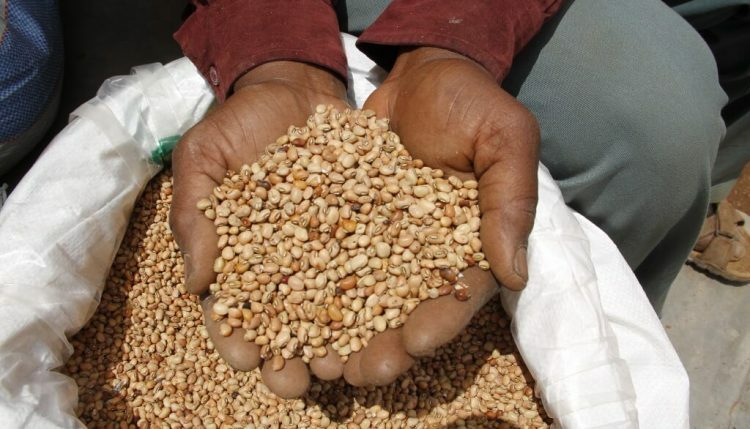 Farmers evaluating the performance of cowpea and fertilizer use. The project introduced improved, early maturing varieties of cowpea (Raha, Tumaini, and Vuli-1) and appropriate use of the fertilizer DAP and herbicides and pesticides. The participating farmers adopted improved production practices that were demonstrated and recommended to them. As a result, in the 2016/2017 season, they were able to harvest 20 kg from a plot of 10 m × 10 m. This is equivalent to 800 kg/acre. The potential yield of cowpea in Tanzania is about 600 to 800 kg/acre. Azizi Mbwana Msonde (61 years old) is a member and the chairperson of one of the participating farmers’ groups, Umoja wa vikundi vya umwagiliaji-Tubugwe which has 20 members (13 men and 7 women) at Tubugwejuu village, Kongwa District, Dodoma Region. Members of the Umoja wa watuamiaji maji group show the remaining cowpea seed after harvest and selling. He joined the N2Africa project because he was eager to learn about improved technologies to get higher yields and more money. He started production of cowpea quality declared seeds (QDS) for the 2016 /17 season after receiving training. As a lead farmer, he also trained 20 of his colleagues on the principles of production of QDS using one acre as a demonstration plot for seed multiplication. “I taught them major principles of QDS production, which include site and seed selection, early land preparation and planting, the use of DAP as a basal fertilizer, spacing, gap filling, timely weeding, pest control using insecticides, timely harvesting, proper drying, threshing, winnowing, and proper storage using airtight PICS bags,” he said. Azizi managed to harvest 700 kg of cowpea QDS per acre at his demonstration plot. From the harvest, he has already sold 600 kg at Tsh.2000 ($1) per kilogram and earned a total of Tshs 1,200,000 ($600). The N2Africa project will use the QDS bought from Azizi to circulate to other farmers to meet the high demand for improved cowpea seed in the next season of 2017/2018. The major lesson he learned through the N2Africa project was that involving farmers in the production of QDS eases access to seeds for many rural farmers because there are few inputs stockists in many Tanzanian villages.